27 February 2019, at 12:00a.m. USA - Perdue Farms has followed up its 2018 move to controlled atmosphere stunning (CAS) at its Milford, Delaware, plant with the country’s first system to further improve live bird handling, beginning at the farm. 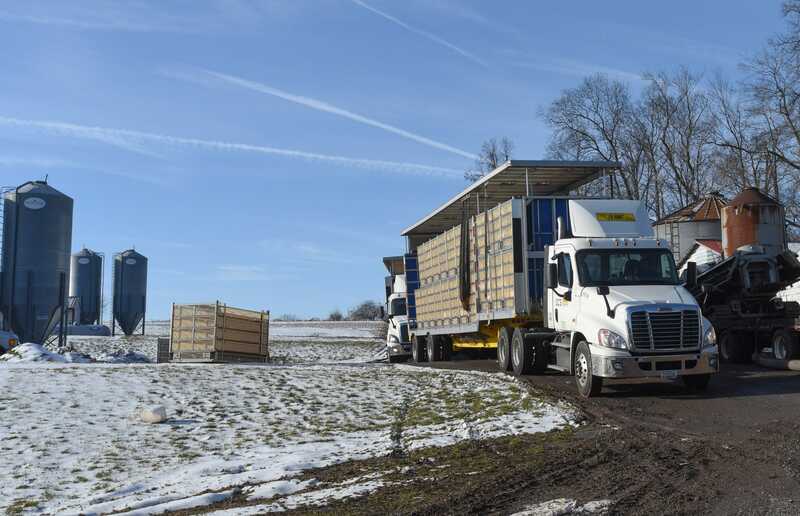 The milestone at the country’s largest organic poultry plant makes Perdue the only major poultry company to use CAS with a fully-integrated transportation system of higher-welfare modular containers and specially designed trailers. There are currently only eight other installations of these container systems in the world. The second phase introduces covered trailers that feature a solid roof and breathable side curtains that better control environmental factors like temperature, humidity, oxygen levels and ventilation. 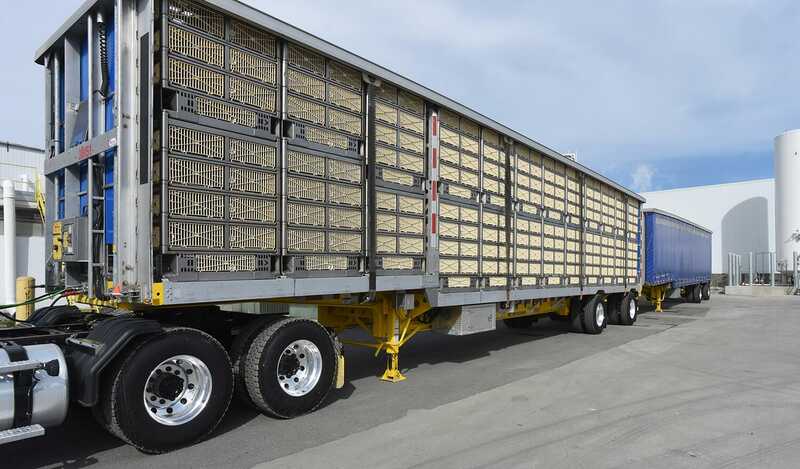 The specially designed trailer also carries the higher-welfare transportation containers that provide easier all-around access and increased headroom for chickens during transport. Utilising these advanced containers also leads to drastically less handling of chickens from the farm to the plant as they are able to remain in their container as they enter the CAS system. Representing a more than $20 million investment in higher animal welfare, the completed CAS system is a milestone in Perdue’s commitment to convert 100 percent of its harvest plants to CAS instead of electrical stunning, which eliminates the process of shackling conscious birds upside down prior to being insensible to pain. Perdue’s investments in higher animal welfare systems are also being recognised by global animal advocacy organisations seeking changes within the broader industry. For the second consecutive year, Perdue Farms placed among the highest ranked of more than 150 global food companies in the global Business Benchmark for Farm Animal Welfare. “It is clear from our assessment of Perdue Farms that the company is making farm animal welfare an integral part of its business strategy,” said Nicky Amos, Executive Director, Business Benchmark on Farm Animal Welfare. Perdue was one of two U.S. companies to achieve Tier 2 or higher. Perdue notes other beneficial outcomes are being realised with the second phase of the CAS system, in addition to the major improvements to poultry welfare. Fuel efficiency has increased approximately 32 percent utilising the new trailers and ultimately uses less fuel per load. The higher-welfare container system also makes use of an automatic wash machine that strengthens biosecurity by returning the cleanest possible containers back to the farm. Perdue is the first in country to implement a higher welfare transportation system integrated with controlled atmosphere stunning.